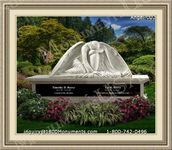 Setting up funeral arrangements is a job that entails a long list of details. 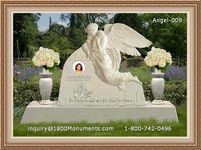 These are usually left to a responsible member of the deceased's family or various tasks may be assigned to several individuals for less stress on one mourner. A key part of this duty is composing an epitaph worthy of the person it will represent. 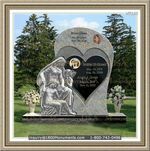 This means that they will create a short sentiment, statement, poem, verse or phrase that will be engraved on the headstone as a lasting testament. The purpose is to give others a brief glance into the individual it represents. These inscriptions take many forms, usually depending on the personality and what the individual's life was like or the emotional state of the writer. Nearly every grave marker starts out with the same basic identifying information. 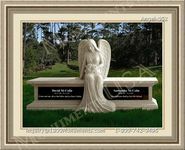 They state with the deceased's name and the date of their birth followed by when they passed away. Some people choose to stop there, but many opt to include additional statements, sentiments or facts that either describe the individual, or speak to their life or personality. These additional statements are quite often short sentiments about how much the individual will be missed, how special they were or wishes for a peaceful afterlife. They might list their familial positions such as child, sibling, parent or spouse, or it may be a record of their time in the military or other organization. Spiritual scripture is also very commonly used. A growing number of people are making the choice to write their own goodbyes. By doing so they are able to express themselves more accurately and use a bit of creativity if desired. People with an elevated sense of humor find this to be the perfect opportunity to leave people smiling one last time. Those who write their own might also like to use this as a platform to impart a last bit of wise advice to others. Often this involves encouraging people to be happy and live life well. One can be as creative as they wish with their final statement.